Christmas hat: Create a Reindeer Hat craft this Christmas or winter or throughout the year when you are studying reindeer in science or reading a Christmas book about Santa and his reindeer. This So Sweet Craft is perfect for Christmas, fall or winter, and even as a craft to go with any reindeer book you are reading in class. 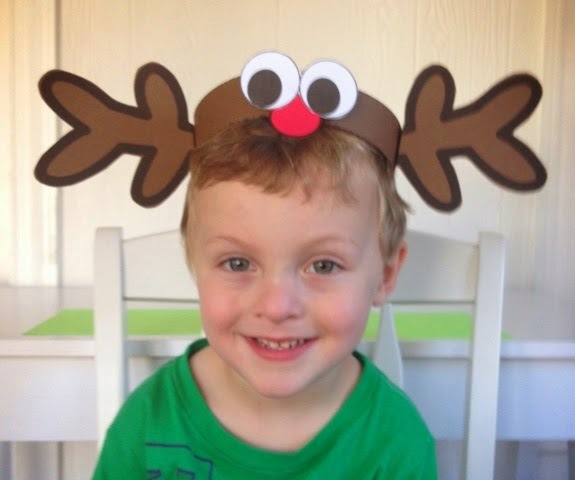 This reindeer craft includes photos, directions, and patterns.